Very simple tense exercises with easy vocabulary. when the kids have finished this sheet you could tell them to translate into their own language. Enjoy! 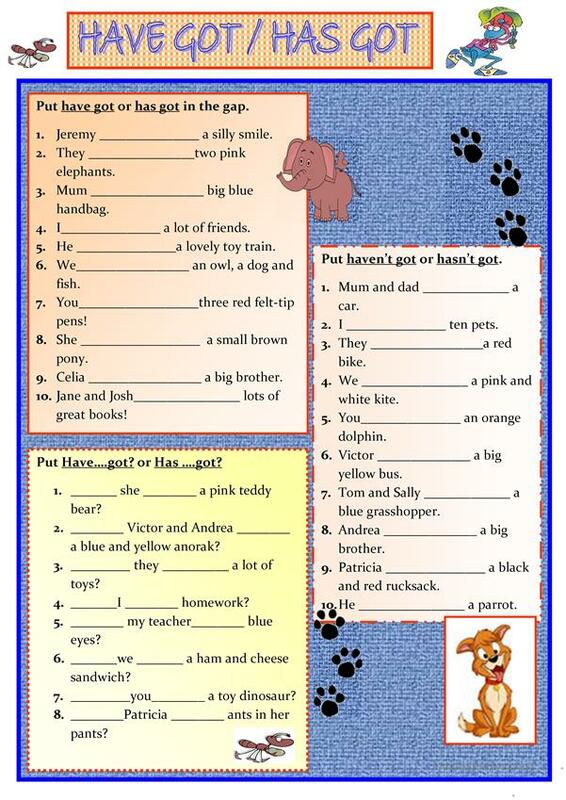 This printable, downloadable handout is recommended for elementary school students and kindergartners and nursery school students at Beginner (pre-A1) level. It is aimed at teaching HAVE GOT or HAS GOT in English. LeslyZoe is from/lives in Spain and has been a member of iSLCollective since 2013-03-29 20:05:38. LeslyZoe last logged in on 2019-04-18 20:04:45, and has shared 61 resources on iSLCollective so far.